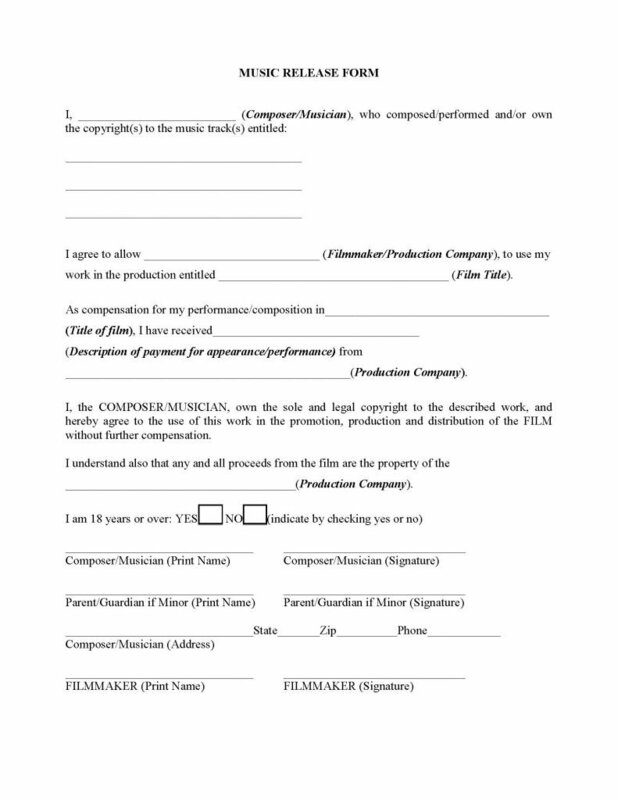 The music release form is a document that would allow a filmmaker and/or production company to use a composer’s music to be used in their film. Generally a composer’s music is copyrighted, therefore they will expect compensation for use of their intellectual property. The filmmaker/production company, will ask the composer to grant permission, in writing, for rights to use the composer’s artistic compositions or to sell the compositions so that they may have the sole and legal copyright to the work, so that they may integrate it entirely with the film. In this case, the composer will generally receive a listing on the credits of the film as part of the sale. 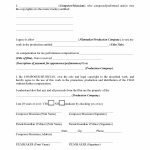 The document will also state the amount of monetary compensation agreed upon between the composer and the filmmaker/production company for either type of agreement.